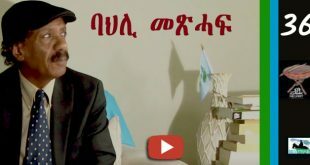 The following is the text of the interview that Hassen Zeytuni of RT television conducted with Yemena Gebreab in the London studios; it was transcribed and translated by the Awate Team. The video clip of the interview can be found Here. Welcome. Eritrea is a state located in the Horn of Africa and these days it’s celebrating its 24th independence anniversary and Eritrea faces many internal and regional problems. After its revolution, it didn’t succeed in building a modern state, a dream that was enticing Eritreans. Still there are problems and the road is still harsh and difficult. To discuss these problems, we host Mr. Yemane Gebreab, the special adviser to president Isaias Afwerki, and the chief of the political affairs of the People’s Party for Democracy and Justice. Welcome Mr. Yemane Gebreab to RT (Russian Today) in the London Studios with Hassen Zeytuni. Let’s start with your visit to London. Is it on an invitation by the Ministry of British foreign affairs or on a private visit to this country? Did you meet authorities at the foreign ministry? True, I met today with authorities in the foreign ministry, and yesterday [I met] authorities from the home office, herein Britain. Between you and between… or, is there a kind of pressure exerted on you personally? Personally there is no pressure… we have a constructive dialogue with the British government, I mean, on issues and developments in Eritrea, mutual relations, and also on developments in the region. You mentioned you came to London to participate in the festival that is held yearly by the Eritrean community residing here and in several other countries spread all over the world… but what is the reason for your coming to participate in these festivals, because there are some who say the reason is to follow up on the activities of the community, supervise its activities on one side and probably to collect money and donations. What is the purpose of your presence here? Firstly, the Eritrean festivals started in the seventies in the previous century. It is a yearly cultural festival, and also political. This is a legacy of the Eritrean political Tradition. The dialogue is continuous between the government–before independence, between the liberation forces and the Diaspora population. These cultural festivals are also held in Eritrea. The Eritrea festival will begin tomorrow, the same time when the festival in Britain begins. We have no need to collect information from our communities because our communities are part of the Eritrean people, part of the national construction, it is a support for Eritrea and the Eritrean government. The reason behind my asking this question is that Canada has prevented you from collecting taxes from the members of the Eritrean community there. Does the same situation apply here in Britain? Did you find the members of the community responsive to this decision? This also started in 1992, it is not something news, not something… it has been a practice for 22 years until now. This started immediately after independence, for reconstruction, a state destroyed due to thirty years of war against Ethiopia and for the purpose of the independence of Eritrea. Let’s talk about the internal situation, You mentioned the thirty years war and the ambitions were big, the Eritrean revolution had an ambition to build a modern state after the end of the armed struggle. But like the rest of revolutionaries in Africa and the third world, the revolutionary fronts can’t carry out the other task, which is building a state. Do you think that so far you failed in transforming the ambitions to a tangible reality? That is the external challenges that you face, the internal challenges that you face is, firstly, you were not able to put a constitution for the country, to this date. You decided in the past not to implement the constitution because of the wars between you and your neighbor Ethiopia. You focus on building an army… there are statistics that say there are more than 375, 000 soldiers in the ranks of the Eritrea armed forces, and the population of Eritrea is not more than 6 million–violations of human rights according to reports by international entities. Ambitions are okay, but the reality is different. You focus… there are some who say, that there are no administrative organs in the Eritrean community but the army administers the issues. What is your response regarding these accusations? Do you allow political pluralism in Eritrea? Multiparty? Do you have that intention, a genuine intention? Excuse me Mr. Gebreab, building a state–before talking about parties, before talking about justice, before talking about pluralism, [there should be a] constitution. Is there a constitution in your country? We… immediately after independence we started the process of drafting a constitution for Eritrea and actually we ratified the constitution in 1997–before 18 years, before 20 years. And the constitution was not implemented because immediately after it was ratified there was a war. The war started in 1998, it ended in 2000, and we are in 2015. 15 years! But it didn’t end. The war didn’t end. The war is continuing until now. There are attempts to aggress on Eritrea and invading Eritrea. And there are occupied Eritrean lands, to this day, by Ethiopia. And in addition to that is, the aggression of big countries on Eritrea. I promise you we will come to that topic… Let’s focus on the EU that provided aid for internal development estimated at 300 million Euro–correct me if that is wrong. We need to know: where did this money go, and did you really receive this amount? It is indicated as 300 million! 18. The amount has not reached you yet? Eritrea spends most of its money on building the army, as we mentioned earlier. Are you going to spend these funds on development programs that help the Eritrean citizen directly. like education, health, agriculture, draught, fighting draught, all of these or you are going to keep spending on the army because you are anxious of external aggression? What are you afraid of? Mr. Gebreab, some reports talk about imprisonment, stifling of freedoms, killing of some notable political personalities in the country. Is this information true, or does it have an elements of truth, or it is a lie? Another problem that faces you, that concerns many, particularly Europeans countries is the problems of immigrants and Eritreans who travel through Sudanese territories and Egypt then enter Libya in search of safe shores in the European continent. There are also refugee camps across your borders with Sudan. How is the situation of the refugees? And are you, I mean the government was not able to face these crisis… how, what is the situation, exactly? What is the number of Eritrean refugees? A thousand? Two thousand, or five thousand? Twenty four thousand refugees every year! Isn’t it so? Labor force…. Let’s be frank, do you encourage this immigration because later on you collect what is called taxes or levies, taxation after they arrive…? This are empty accusations against Eritrea. We prefer that the Eritrean people stay in their country and participate in the building of the modern country, and a strong country. This is the main objective as far as we are considered. But as you eluded, as I said, immigration is a phenomena, a phenomena not only [affecting] Africa alone or the Middle East, but also phenomena in European countries, there is immigration in Europe. It’s a phenomena of the era that I believe will continue. But we in Eritrea have a program, a program of, in a period from three to five years, we will resolve some of these developmental issues and give opportunities to Eritreans so that they can find all the opportunities in Eritrea. But there were also European and USA foreign policies, that encourage…. Let’s talk about external situation. What are the challenges that you face as a nation. You mentioned that you face problems. What are they, exactly? But you have independence and Eritrea as a state is recognized. What is the problem? Is it because the [Eritrean] revolution was leftist, communist, something of that nature, or other reasons? But the agreement that the USA reached with Cuba–after fifty years of boycott and severed relations–is it possible that you open communication channels with the Obama administration to end the American isolation or the American position about you? We see that Cuba has its special situation and there are special relations between Cuba and the USA. Our situation is different, totally. It’s, there was dialogue and there was a relation at one time between Eritrea and the USA. Will there be a re-assessment of the US policies on Eritrea? We are waiting and we will see. But we see, what is required is not changing the policy of the USA on Eritrea, but re-assessment of the general policies [of the USA] in the Middle East region, and the Red Sea, and the horn of Africa. The Eritrean government is accused by the UN that it participated in creating problems and instigating problems in Somalia, in Djibouti, in your neighbor Yemen, in Sudan, probably that is why this isolation is now imposed on you. Are you still encouraging revolutions, supporting parties that you see can create confusion in countries like Somalia, for instance, or Ethiopia? Your position as of now regarding what is happening in Somalia, we would like to know? Our position is clear and firm, and it didn’t change.. it is that Somalis should solve their own problems and there should be, they should be allowed opportunities to solve their problems on their own. Because all the interferences and all external attempts failed in improving the situation let alone bring a solution, Improving the situation in Somalia. Your position on what is called the Arab alliance and the war against Yemen. Where does the Eritrean government stand? Are you with or against the interference? Not neutral also… we have a constructive and effective role, and active, in this issue. But we see the situation in Yemen is not isolated from the situation of the region in general. We heard that there was, that Eritrea was anxious about the situation, the Houthi phenomenon, in Eritrea. Is that possible? No we don’t see… with Yemen, we have strong ties, and historical, with Yemen. Historically, culturally, interest, there are many things that tie us with, and we have a special relation with Yemen, and a strong relation with Yemen. And we do not take [partial] position on the Yemeni society. We are not with one side against the other in Yemen. We are with [all] the Yemenis, collective. But we see there should be a comprehensive solution for the issues of peace and security in this region. You mentioned the issue of Sudan, we mentioned the issue of Sudan, your position on the division of Sudan, in brief because time is catching us up… are you for the building of the state in the South which is engaged in a [civil] war now? We were for the unity of Sudan until the last moment, until the referendum in South Sudan, we are for the unity. And our position is clear and unambiguous to the two sides. After the independence of the South, of course, we were for building an independent state because this was the decision by the people of South Sudan.. Very brief, will the Eritrean policy change in relations to friends and neighbors? Positively? Mr. Gebreab, thank you very much for the conversation, but time caught up. Correction Awatista Zaki complied first and everyone followed at the forum and you my friend shredded virtual papers… I dare not go corporate… Ali Salim Smerrrrgy 2nd paragraph: “are you hiring?” Acronym ma..bad Nitric. You are still Top Gun. ! …and dangerously venomous and unsuspected stinger. The most envied characters when you are running a public office are not “strong and quick smart” but honesty, integrity, empathy and trustworthiness. Can PFDJ be reformed by isaias? Even though it requires skills, he can do it. The question is would it be the best outcome compared to PFDJ removal? Hey Saba; I am a firm believer PFDJ is partially reformable and PFDJ will be reformed, reformable enough that the real progressive and democratic forces to over take. that is the reason i am opposing any radical and a change. the PFDJ that are not reformable are running out of time. if you pay attention now PFDJ are talking 3 to 5 years plan. and if you think of it; that is all they have. so, yes, they will reduce NMS to 18 months. yes the will ratify the constitution. in short; they know weather they allow it or not change must come; and they will take the credit for making the change. trust me, they smart!!!!! at this moment the worest thing you can do is removing PFDJ by force; what force? sorry, i mean by prayer, sorry for confusion, Saba. Nitricc, lol never get confused about the force of the opposition. But “reforming force” can come from 1) EDF, 2) the Eritrean people(popular uprising ) or 3) Nature. Time is running, so PFDJ will be reformed or collapse by itself. Just that we are sure to be speaking about the same thing, could you clearly say who you have in mind when you say “Opposition”? I am assuming that you mean “Everyone who opposes IA’s regime”? (That really is exactly how I am understanding your term of reference “opposition”). I don’t see a protracted armed struggle leading change (at least as things stand now). And the popular uprising many Eritreans agitating for is only to be had by reaching the critical mass. All that voice for change is what I understand as “Opposition”. Some people in that mass are organized as movements, parties, facilitators, think tanks… Others work as activists, media persons, artists…. others lead individual activities, group activities, clandestine activities…yet others engage in breaking out of the iron walls and crossing the border at any cost. I am assuming therefore, you are expressing your misgivings about such entire mass of voices. Rarely did we see such mass coming out in force as in the case of Geneva demo of June 26. That was probably the one single time where the regime was fully outnumbered. No single segment of the “Opposition” as described above would have brought such strength to the Geneva showdown alone. Because the issue involved about prospect of taking IA and Co. to ICC, the ground swell mass converged in unison. So, can you clarify that your term of reference in regards to “opposition” is indeed intended as to what it imply or you only mean it to a small segment of that mass (i.e. the one’s that have already signed up to a particular group)? I strongly believe that it is impossible to get a reform from the regime in eritrea but “GOD” IS EVERYTHING. almost impossible to gate a reform and Rule of Law from Higdef. Hi Saba, As we all well know things are not rosey back home. Eritrea has been under Isolation with different mechanisms and excuses for far too long and it took a toll on the livelihood of Eritreans. We can go left and right blaming why and who but it is not important. What is important is what is at stake and how do we manage it. The isolation of Eritrea is not by accident but it is well calculated design to be break Eritrea to the point it can’t stand for its own interest. We paid a heavy price for our independence and once again Eritreans are jubilant and proud crippling successive Ethiopia’s TPLF led gov evil intentions on us with fierce determination. One has to be naive or duplicitous to advocate TPLF has the best interest of Eritreans. 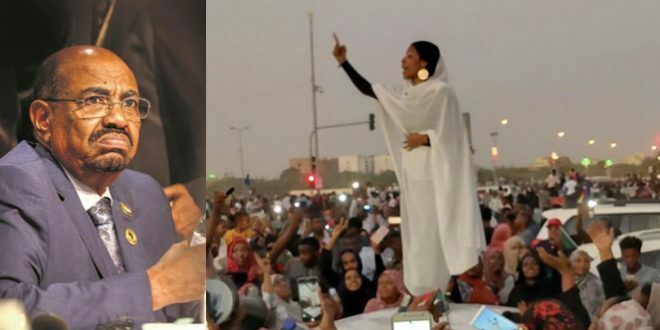 That is where the disconnection in struggle for change between the so called the opposition groups and Eritrean people come to be. This renegade “opposition” groups continuously hindered and hijacked the fight for justice for the interest of TPLF and their backers. 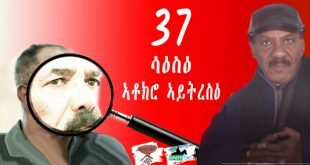 In this forum alone you saw how supposedly “opposition” individuals reacted when “Peace and Nitricc” posted unflattering nature of TPLF, so to say the least, the name opposition or justice seekers is lost in translation: for the renegades, it is exploiting Eritrean grievance to a higher level of deception. To answer your question, PFDJ can’t afford to continue like this. Eritrean people unanimously oppose lack of good governance in their country and it is vital we all support and hear their plea for rule of law. The Gov has to reform and accommodate rule of law one way or another. your question is “Can PFDJ be reformed by isaias?” again questions come to mind, is PFDJ different IA? and what is reform? are those few changes that all we need? what is that “ratify isaias-friendly constitution?” friendly to whom? Dear AT. I know you are going to say i am demanding. you know what i am. i do so, because this is the University of awate where professor Mahmuday; SAAY,SJ,Beyan, Haile TG, Amanual Hidarat,Ted, Fanti, Amde, Abi, peace……no particular order and please add to the list. Most of you on the list are our intellectuals and many of us, are your students, we look up to you. having say that; does seeing picture bother you at all? a picture of a human being depicted this way? I know, you are in disagreement with this man and even you despised him but isn’t a human being it happens you disagreed with him. my point is, the depiction of this person, doesn’t reflect neither the value nor intellectual properties of this University. My take, un-cut! Did he complain to you? Was it the hair? that is how started with Yemane G. lately he is on fire giving interviews right and left. by PFDJ nature, they dismissive and they never cared what their image is. so, i sow he was giving all this interviews, not to be out done; i got on it and I interviews him. And i introduced my self that i was represent the University of Awate and he gave me 45 minutes of lecture. He said, what kind of university and education institution you declared to represent will depict a human being as a scorpion, yet demands its members that the will greet each other before each of their post for the sake of civilization? he killed every question i had planed for him. fine, Amde, i tried to be funny but the point is, if we going to be civilized, and demand every member act like one; then our AT should start the way. let’s not do the half job. this web site better than depicting a human bing in to a scorpion. that is my take, what is yours? I want to buy you a mirror. That is mine. I hope you have your sense of humor with you today. I have another beef, what appears to be nit picking problem. But it is not. 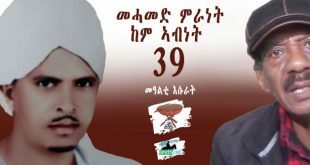 It is universally accepted at Awate University that Y.G is the initial of a prominent Eritrean that is loved by many. We all know who he is. Now, hear me out. People are trying to fudge and soil that initial (name) by refereeing to Yemane Gebreab as Y.G. I think that is worse than this picture, if you ask me. However, Nitricc, if you agree that Yemane at the very least should be referred to by the small y and the crooked g (not this one), I will agree with you that the picture is not respectful. Shall we shake hands on that? Kim Hahahhah lol. last month i was in NY and someone suggested I try this up-scale restaurant. i say what the hack and the next day i went to the restaurant and i was told by the gentleman in the entrance, that i am not allowed get in. I asked him why? he said, I did not met their dress code. i had kaki pants with sweat shirts. I do know up-scale restaurants do have dress code but only for a dinner, not for lunch. so, I asked him if he can make an exception and he said no. I said, can you get me the manager? he said absolutely and he went in and he got me the manager. I asked him the same thing if he can make an exception? he said no. i say why not? he said “image is everything”. i could not argue anymore. i know i was waging an argument i can not win. so, when ever i looked at YG’s scorpion thing, some how I keep remembering the word of the manager, image is everything” and that was a reason i brought it up. i am tell you all this just to say we shake hands and awate.com “image matters”. It would have been nice if you just asked clarification without going into supporting your already formed uninformed opinion. But we have no problem with that except to bring to your attention that you need to do due diligence before you air your view. Research the matter and be informed first. After all, it’s just a few minutes investment that helps a lot. In journalism, editorial cartoons (also knows as political cartoones) are as old as the printed media. Here is how it is described in http://www.nationalww2museum.org “Political cartoons (also known as editorial cartoons) are defined as illustrations or comic strips containing a political or social message that usually relates to current events or personalities. Please note that we will not stop exposing the regime and its operatives and affiliates, that is what we do–cartoons and satire are just two of the tools available for journalists. In the meantime, please also think why you were not offended by the subject of the cartoon depicting hundreds of thousands of bonafide Eritreans as mercenaries and claims they do not exist. Since you claim to be the exponent of “truth” at least we expect you to condemn that untrue and reckless pronouncement. We wish you enjoyable browsing and we hope you will come back and tell the forum the truth that learned. 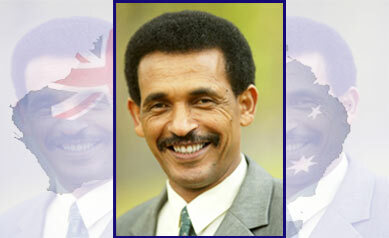 Hi Haile WM; obviously there is a reason you are an opposition for PFDJ. the reason PFDJ in power despite all the debacle is because they got the likes of Haile WM as opposition. ask him PIA any real qeustion and he will replay to you ” we don’t make noises” so, when i say for 24; i did not explain it, but what i was saying was within that year, so, my prediction still stands, till Dec 31 2015. for PIA to release on May 24 is making noises and knowing the man; he won’t do that. are you telling me your prediction was on a long range ? like the weather man saying it’s going to rain within this month in the rain-forest ? does him stand for His Imperial Majesty ? Hi Haile WM, since you insist that i updated you on my prediction, then here i am to predict what i have told my good friend, Ted, that EPDRF or TPLF will collapse before PFDJ. please write this prediction of mine some where so, you know i have told you first. for real . here you have it. By the way i couldn’t care less of TPLF, my point of view on them, is that they are the other face of the coin on which PFDJ lays. They are power hungry criminals just like PFDJ, with a significant difference: they are more subtle in their ways than PFDJ. Dear AT, I was telling Kim-H what forced me to bring the issue to your attention. I agree with you it is done everywhere. And most editorials have political cartoons that are funny, that makes you lough and entertaining. looking at YG’s for obvious reason i didn’t find it fitting for this and with this web-site caliber. to the naked eye and untrained mind, it may sound i am defending YG but in truth, i am standing for the web-site. having said that, let me have my browsing and i promise to get back to you. as always; thanks for your explanation and you took the time to respond. I do appreciate it. I like you inquisitive comments. But from your comment to HaileTG, one would think Haile is responsible for everything that happens and should happen. I can volunteer an answer for your question on how “Haile’s opposition will bring down the pfdj”. He will remove the pfdj when all those who imply they are against the injustice embrace the idea that they are part of the opposition and stop mentioning the opposition in the third-person and refer to it in the first person. In a fight between justice and injustice, there is no middle ground and here’s the only time George bush’s slogan of with us or against us applies. Don’t you agree! On every count listed above, I would like the opposition to do more of. In deed, more talking, more writing, more petitioning, more marching, more meeting, ore challenging, more singing, more reaching, more media, more guarding…. Every action serves its unique purpose, has its part in the scheme of things. The Eritrean people are terribly bleeding, it is sad that the the primary concern is power acquisition as you make it sound to be. Our primary job is to degrade and bankrupt the regime and be a solid support to Eritreans in Eritrea who are pouring out in hundreds of thousands. The removal of the regime will open a new set of responsibilities and opportunities to our embattled people. They are fully capable of playing a leading role in setting up a transitional administration, once the regime is no more. The message to the regime is loud and clear, get out or you will be made to. YG can cry all day long in every media bulletins but the concerted effort of the people has got him right up to the cliff and him and his regime will jumping off soon. Mahmuday once asked a great question to Semere “What time is it?” let me avail myself to ask you the same Saba: What time is it? I am guilty as charged on the above enumerations, namely, 1st, 2nd, and 5th. Not in this thread but in another I kinda threw similar sentiments as Saba is doing here. But, I can see clearly now the intrinsic effect of not only what it is but why it is we in the opposition are doing what we are doing. Kudos to the clarity you have come to represent in this medium. Hahaha, awate.com came witha word coin of Triplespeak. The OTTOs should come with multiply it by 10, thirtyspeak. hahaha, you have blessed my day. Saba is not different that selam. Just a lttle change in tactics. This is tes signed as guest because of conection problem. Hi SJ, Back in the days when the Italian army were advancing towards the center of Ethiopia, the King did the declaration for his people to fight the invading Italians with what they got. The King packed and left but the warriors of that time loving their country fought fierce battle. With no leader to organize, unite and motivate them, they became the victim of vainglory,self importance and ego inspired animosity . They kill each other mercilessly. The Italians conquered Ethiopia with minimum damage giving some favoured ones power and money. I hope you see the pararalel.In today’s Eritrea, that is where we are now, killing each other( under cover of screen) mercilessly in the name of “justice” just to satisfy our ego. You mentioned the most ridiculed word from the most ridiculed leader to make a point , “ with us or against us” I hope you are joking. Which opposition you want people to enlist into? The fact that you diverted the question to mere “we will bring down PFDJ” tells “the opposition” have no clue how things might unfold. It might be therapeutic for some to vent out their anger by bashing PFDJ day in day out but it doesn’t make iota of a difference for people who are looking justice in their daily life. It is unfortunate, Awate known to be the most popular educating and opposition medium, I don’t see a single person or organization members here advocating their cause or debating it. They come and go like monarch butterfly. The question still stands, How can we do it in a organized and united way and how do we manage Post PFDJ. If you can’t answer it no body can. PS. “stop mentioning the opposition in the third-person and refer to it in the first person” i know it is your pet peeves but it is what it is. Eritreans are unequivocally calling for change even PFDJ are scrambling to be the face of change in their ways. What we missing is “organized opposition” to support and criticize. As it stands, there is none except the phantom, mask faced called “oppositions”. It is what it is, you need to get real and save yourself from anguish. The only time they uncover their mask and take picture is, not to Eritreans, but when Weyane or UN/US ask them to. Another fresh interview with Yemane Gebreab conducted by German radio, amharic. What is with these endlessss interviews? I wonder if they are trying to counter the damage the CoI brought upon them. Anyway the questions were excellent. One question says you were saying the constitution was being implemented except for the Presidential election, but now why new constitution? On the endless merry-go-round from the Hgdef camp: Well, they are cornered from all angles, boxed in with no option but to fight with weapons of lies after lies to a point their own supporters are beginning to challenge them on it. Hgdef knows what is about to descend; some powerful eye-witness testimonies will be chronicled henceforth until next year from UN’s CoIE files, and here is one such powerful eyewitness with chilling details telling the rampant crimes of Hgdef that goes way back to 1998. I wanted to hear the whole story, it just abruptly ends, but it is enough to give you the ominous picture of the mayhem young Eritreans had to face as they were trying to fight on the orders of the clueless Nsu, who was probably somewhere sitting at some bar or at his Gibbi office in Asmera. The second clip was shared by someone here at Awate, I forget who it was, just in case you missed it, God knows I miss my share of some really important clips. At any rate, it is Yemane, again, being challenged by his own supporters, at some point the man from the audience indicates how embarrassing it has become to a point of his own son wondering why it is that there is no elections in Eritrea. Go figure – he needed his son to alert him on that. -Here is where most of the efforts of the “opposition” is spent. Most Eritreans by now understand that PFDJ is a dictatorial system because they have seen it in first hand or they heard it from people they know closely. They are looking for a better alternative, the real opposition, not the opposition parties currently we have. -I know the opposition wants still to spend 100% of their effort on bashing PFDJ because it is easy. It is easy to blame, talk like hamien. -Tyrants are ruling the country right now. So how many times do you want to call them tyrants, dictators to break them? I know it can be a psychotherapy but you got to see beyond PFDJ if you want to remove them. -it will be 1991 all over again. -We need to scrutinize the opposition on their stand on many issues. If not scrutinized by the people, they can turn from opposition to oppressors, be dictators, start a war with Ethiopia or make deals with TPLF to destabilize Eritrea. -So dear Khokob Selam, why do not you look for a better opposition, instead of settling for a dysfunctional, toxic opposition which is made more or less in the image of PFDJ? Can you please answer at least this question? Thank you Haile. I, too, saw it on someone’s FB earlier today. In less than three minutes, the analyst knew exactly what to highlight in clearly understood language. But, I wouldn’t count on the supporters of Hgdef to hear what is being communicated here. Selam Beyan, at least such kind of loud and clear voice is now needed from the opposition camp in order to win the world opinion. Thanks to Haile too for the video clip, I am now going to retail this clip around the key market places. I like of “retail[ing] this clip around the key market places.” Please Michael do that. One of the many points of consternation for me is the fact that opposition’s news outlets are so scattered that we lose a great deal of good clips like this one, where it should be disseminated to all known political and social media, including the supporters if they are accessible. I wish there was a way of identifying such news organizations and on a voluntary basis have a watchdog person who would follow each media outlet, thereby helping us streamline when something like the clip in question comes out, which was really rapid fire response from the guest; the host needed not say a word because the guy knew exactly what he wanted to say – He did his homework and delivered the message in precisely concise fashion. This is just as an aside, but I get frustrated with some of the clips that I come across on FB when I want to share, it just does not let you copy it, and this was no exception; of course, sharing FB to FB is just a matter of one or two clicks. Nonetheless, I was happy to see the ever resourceful HTG for sharing it here. A lot of times I try to search the same clip on youtube, because, as you know, it is just a matter of copy and paste. Youtube is just a perfect platform in this regard. AT Awate website. I only comment based on the prints. This one is so hilarious, funny and sad at the same time. at all as it flows perfectly like the flow of water or fluid. and their role as in so far. do not is omitted in the print……..
My question to you and to the “silent majority” is; how about you Saba (silent majority) ? what did you do instead of moaning of the moaning of the opposition ? I mean shouldn’t you be part of the change you are asking? Shouldn’t you work on changing the opposition so that it could be one day effective as you are asking right now? Shouldn’t you contribute to remove the regime without doing the same thing you are accusing the opposition of doing ? 01. I don’t think you and me were brave enough still in saying it openly. 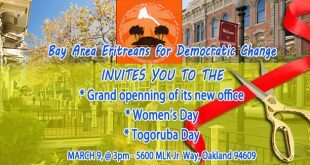 we should say more about PFDJ. I notice we have people creating excuses not to describe PFDJ as dictator. and still we see people blaming external forces so not to move and fight against our internal devil. I give created to those who always explain in different ways including arts and music about what that nonsense group is. so sing more Sabina if you have attractive voice. 02.Removing PFDJ, it is everybody’s job. God didn’t dominate one sole agent. you can criticize and correct other opposition and you can have your own. 03. the post -PFDJ era ? do you think PFDJ came just like that with out back ground. ኽዱን ብኣፈ ስላሴ the only revolution who fought against colonialism but under the most criminal leadership is our revolution. that is why we are in trouble. we the mass are fighting to let the price payed to be valuable by keeping nationalism and creating democratic nation while PFDJ is trying to make Eritrea failed state due to their uncountable crimes before the so called national independence – hard to swallow but that is the truth. Sabina, who let you say thousand times that opposition are useless is PFDJ office. they are using it since ever. that makes everybody demoralized. PFDJ is strong in playing those games. if they can’t kill you, they demoralize you. PFDJ leadership don’t care about development of nation in fact they don’t have time to think about it. they are busy using the psychological tools not face opposition. and your likes blame opposition “ዘሕምቆ ኣለኒ በትረይ ሃቡኒ” because most of opposition leaders and members don’t want to create war here and there so not to kill you and your likes. that is why bad me, keep saying to my party some among Eritreans need someone to talk with them the language of PFDJ – use power to beg you. The video link is broken. What language was this translated from? Yes the link provided by awate is not working. Here is the clip of the interview which was conducted in arabic. In your other news article titled “Eritrea: The 2000 Border War Is Not Over Yet”, the videoclip is indeed below the article. But in this article where you’ve provided a translation of the interview, the link to the actual interview in the introduction generates a “page not found” error message. Well I am a little surprised by over reaction of some of you. I just asked a question and I was truly confused. Point 1: There is more ways than you care to think in which humans kisachew yemimolbet menged (ways in which they can enrich their pocket). Power, for example, can become a way one fills his pocketbook, if you will, as power becomes a venue for making oneself to live comfortably, where the need for money becomes unnecessary. Case in point: Nsu, who, to my knowledge never earned money by working for it, would have no need to pile-up money, for he has always been taken care of via various means without having to sweat for it – via the accumulation of absolute power. Point 2: Prima facie, seeing Bob Marley’s picture on the t-shirt that Teddy wore, I thought the man was a global man who understands not only quality of music but Marley’s political philosophy. The very artist, whose music, let it be known here, I enjoy a great deal, shows no regard to some of his audience when he emblazons the late monarch on his t-shirt, who accumulated wealth while the poor Ethiopians were starving. Talk about hizbi Ethiopia dabbo aTTa betebaelw gezie, lemin cake aybelum yemilu nebber yemimeslew negeru. So, there is a jarring disconnect, dissonance, if you will, between the message Teddy is trying to convey and the image that he portrays. Imagine, an artist singing while wearing Mengistu’s t-shirt, would you even enjoy such music, however much great that music might be? So, both thumbs down on this particular single. Teddy is an immature repeater who happens to have a good voice. I never thought of him as an ‘artist,’ because I could always trace all his songs to someone else’s work. Given his age and all that could have been forgivable if only he would stop meddling in Tamagn Beyene’s politics while doing it. He does nothing from conviction, but for the sheer applause he receives from the ‘Emiye Minilik” crowd. I always hoped he will someday come up with his own work, and I never stopped listening to ‘his’ songs until his politics gotten more and more ridiculous. So, there is no way I will watch this video (sorry Nitricc, nothing to do with you), but I respect your judgment, and that is more than enough for me. Thank you fro erasing the tiny curiosity I had about this video. WELCOME BACK TO MY VIEWS & POINTS ! view and call for a fair and bold media that stands for the truth and justice. Unfortunately it was ignored……..and ultimately……….reappeared again. by the lying and corrupt medias and the people behind them. stuffing their old and expired stuff as an opportune time and place to do so. through again against our health and healthy diet for its corporate benefits. *** GNM = Genetically Nourshed Metabolism. and struggles that have been taking place. It is common place to hear the state media bragging about how Eritrea is the most stable and island of peace in the chaotic horn region. That is what any PFDJ official would tell you so long the question of as to why people are fleeing in droves and why we don’t have a normally-functioning government (constitution, parliament, clear-cut national service…) is raised. When the question is raised, however, the tone changes drastically and they become very defensive blaming the lack of political progress on the no-war no-peace situation. So, clearly the PFDJ is worried about the border issue settlement or the occupied land as much as it is worried about the lack of democratic governance in Eritrea. That’s to say absolutely NIL!!! The only aspect of the border the PFDJ would be dreadful of is for it to wakeup one morning to the news that the Woyanes have dropped all preconditions and demarcation can proceed according to the EEBC ruling. That would be a death sentence on President Isaias & Co, and they’re constantly fearful of that. Do you think it is Woyane’s strategic interest to have a neighbour Eritrea under Issais? I don’t think the status quo in the country would change if Woyane decided to accept and implement the EEBC decisions tomorrow. As long as the evil is out there, nothing will change. If that was the case, I am sure Woyane would have implemented the EEBC decisions over the past 10 years unless they want see Eritreans suffer under the regime of Issais. I don’t know if you have discussed about the article I linked below. It’s about a secret deal that might be happening behind closed doors between EU and the Eritrean government to shut its borders in exchange for aid money. It’s a very sick and troubling issue. The article goes on to detail the fear of UN that “the Eritreans could re-impose a shoot-to-kill border operation”. And after reading YG’s interview above I was wondering if he was discussing about this deal with UK’s foreign ministry and home office. I wouldn’t be surprised if the Europeans would come up with this kind of sick deal to curtail the immigration crisis they are facing. do you say “In 1991 people were thinking nothing bad will come after DERGUE.” few were there and the majority describe them “crazy men”. and honestly speaking I trust those guys. Saba, we were not honest people, we didn’t ask for reconciliation, rule of law etc. actually I am not blaming the man or the members of PFDJ, but that is the end garbage that should be thrown. now, no one can answer your question without mentioning PFDJ. to do or not to do something good to Eritrea is after removing PFDJ. What bad can come after removing PFDJ? anything that you will mention will never be equal to PFDJ’s crime. “But the opposition can turn to oppressor and here it is where the danger lies.” so what? shall we continue talking and let PFDJ be there ? if people are silent and are not moving they will still pay for it. it is the same in from 1991 till today we didn’t move and stand for justice and the result is what you see. so go for calculated risk, take responsibility and hold your gun is my opinion Sabina. PFDJ will contaminate your name labeling you anything they think will attract the mass but challenge and face it. you can get support from Mars, or Jupiter or anywhere else but make sure you are strong enough not to hijacked and manipulated. Let me interject because your question reminds me of something intriguing. First, let me answer you: YG’s Arabic is good enough. My question is: why does it become a novel when an Eritrean Christian speaks Arabic? But overwhelming Muslims speak it fluently, some are even better than the native Arabs. We have poets, playwrights, authors, etc. I remember when Isaias spoke in Arabic (in the facebook age) it was so novel so many people were mentioning that with surprise. I know two Semeres who can speak Arabic here: Semere Habtemariam and Semere Andom. I also know a person named Bereket in London who speaks impeccable Arabic. Fasil, the Eritrean ambassador to Egypt speaks excellent Arabic, Egyptian dialect. Haile Mekerios speaks excellent Arabic. Numerous people who were in the ELF could at least muster communicative Arabic. Many Eritrean Christians who grew up and went to school in the Middle East speak fluently, as their first language. I can name many Eritreans. A few years ago Isaias criticized the education system in Eritrea, and declared that Arabic and Tigrinya will be taught in tandem starting from grade school, or something like that–couldn’t locate the article awate published regarding that. Isn’t it amazing that there isn’t a single Ethiopian or Eritrean Christian named Omar, Ali, Saleh, or any other Arabic name? Too bad I woke up to that a little late before I could name mine, but I can’t tell you my frustration to hear names like Susana, Helena, Kevin, Mike, John, Lily, and many more like it with pride and sense of superiority. Our association of Arabic with Islam may be understandable given our lack of education, but one more tragedy that goes along with this is how we have been conditioned to think Arabs as our enemies. You won’t believe how many hours I must have spend to find any historical background that may have triggered this to no avail. In fact, it seems to be the other way around. I strongly believe that Arabs are the closest thing we have for cousins. I know the Egypt-Israel war of the sixties and some Arab countries’ support of ELF may have contributed to the overall campaign to make it look like Arabs as our enemies, but it would be interesting to know when and where this whole ‘enmity’ began. To get back to the Christians who speak Arabic subject, when I got to Gedarif in 1975, I was one of the few who were sought after to slaughter chicken for hundreds of ‘Habesha’ households. The newer arrival one is the more important he is. the idea is ‘purity’ uncontaminated with Islam yet. I moved to Omdurman with my profession intact until I made the mistake of taking Arabic classes. I mean no information could travel the way my ‘contamination’ news did with that speed even today. I use to joke about it saying something similar to ‘blessing in disguise,’ because it was really an enormous burden to go from house to house every day killing chicken and many more times on Sunday. And also those households had the obligation of inviting me for lunch which chopped my time farther. Some of them won’t even touch the meal until ‘the butcher’ shows up and starts the process. So, our association of the language with the religion may still be lingering. I hope you will write about this someday. I have had a ‘radical’ thought for a while about making Arabic a requirement in Ethiopian schools, but I didn’t get the necessary encouragement or support, so it is shelved for now. As much as I see the wisdom and benefit of making Arabic our regional language, sadly enough, it may not happen in our life time. This is my favorite subject because I trace all our problems to it. I read so much about it to the extent that I am frustrated. I have touched on it in my book “Of Kings And Bandits” and in so many articles. Yet, the ignorance about the subject is very depressing. Until I add some more to this, here is my general observation and information I collected from my research. The Jesuits played a big role (Alvarez and the like) who were fresh out from their battles with the Moors (Muslim) who ruled Iberia (Catholic) for 800. 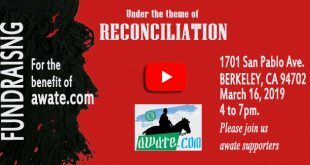 When they came o Abyssinia, they displayed extreme fanaticism because they wanted to re-baptize the people because Tewahdo was not good enough. They instigated some hate and they met their equal in Ahmed Gragn. That conflict has been preached and preached tirelessly in Abyssinia and all the excellent relations between the surrounding Arab world and Abyssinia was damaged beyond repair. Taht is the first cycle. In the 19th century, Mahdi of Sudan and Yohannes of Abyssinia, equally fanatic rulers, brought it further. That was the second cycle. Haile Sellasie depicted the Eritrean struggle as an Arab/Islamic agitated rebellion. In his zeal to divide and rule, he made a lasting damage in the Eritrean psyche the results of which we see to this date. That is the third cycle. The fourth cycle is just plain bigotry caused by ignorance. Otherwise, it is amazing to know that the official royal seal of Yahannes had an Arabic inscription in it. And throughout history, there was no animosity between Abyssinia and the Muslim/Arab world except for a minor incursion when the Omayads attempted to expand South from Egypt and we repulsed by the Nubians and similar incursion on the Red Sea. Later on, the Red Sea had its Muslim/Arab character and the hinterland its Tewahdo character. No problems existed whatsoever until the era of the princes when such animosities instigated by the European and Ottoman friction that was brewing. No, thanks for expanding on it. In fact, I was thinking along the same line as yourself when I asked the question. 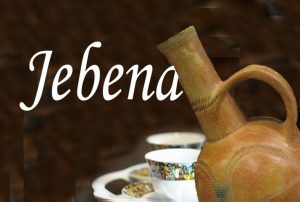 One of the things I noticed since I started frequenting this forum is that many Eritreans do speak Arabic more than I had imagined and was curious what was the reason for it. As you have noted there is the proximity to the region; religion factor [though I am curious as to why most Ethiopian Muslims don’t speak Arabic]; and then there is the acquired by learning. But I also wanted to know if there are native population/tribes with Arabic as their mother-tongue in Eritrea. Yes, bigotry knows no limit. I guess Ethios who come to this website make us “Wahabist’ by association too , according to them 🙂 That’s not even a real website. It looks like a sorority girl’s diary. When there were no schools around, Christians went to the churches and monsatries and learned fidel, while Muslims went to Khelwa (The abused Madrassa) and learned the Arabic script. For Christians, until recently, education meant writing, reading in Geez and basically memorizing Dawit, mainly in Geez. Muslims learned how to write and read in Arabic and recite the Koran. Of course there many segments of Eritrea, Arabic was and is the language of commerce, education and culture. There are some tribes and clans who claim Arab ancestry though they have dopted Tigre, Afar, Saho, and other languages. But there are some who consider themselves Arabs though the Rashaida are the only ones who speak Arabic as a first language. But for others, it has always been a language of education, culture, and cross border commerce. Your comment about how religion is used as a divisive instrument to advance narrow interests makes me reflect on the legacy and impact of Dergue’s propaganda machine in our contemporary politics. 1981 (Ethio Calendar) was probably the worst year for Dergue in terms of military and territorial defeat but was arguably its best year in its success of propaganda campaign to effectively define TPLF and EPLF which prior to that year they were casually labelled as ‘Gentay-Asgentay’ , ‘Shifta’, ‘Wombede’ or the more diplomatic label- ‘Tekuami Hayloch’. It wasn’t only the labeling that was conceived that year but there was also the role assignment of the two groups that w. Shaebia was described as Arab agent- intended to whip up religious fervor (It is not surprising that some groups still use that strategy as you have noted) and Woyane as Shabia’s lackey which followed Woyane all the way to 1998. This was so effective even some esteemed writers on this website use it to explain the boarder conflict. Even me am impressed YG speaks Arabic:-) I have not heard him yet though. should be appalled that Wuchu and your school mate Philipos could not speak Arabic. Correction, Philips was not my school mate we just spent a long time in Anseba/tsebab a long time meeting everyday. the interview is on the Gedab News of 7/31. What’s the problem with saying I belong to Xxxxxx opposition group and xxxx what it stands for! I just don’t get it. Defending opposition groups by bashing PFDJ is doing anything good. I love it. It seems you don’t have passengers. you must be flying alone. tell me now, why Ethiopia has to accept when they know rejecting systematically give them better result? and tell me do you really believe PFDJ is interested and really working to see Ethiopia accept the so call final and binding treaty? is PFDJ really interested about national sovereignty ? think about it. just ask questions like this, what will happen to PFDJ if they accept the decision? 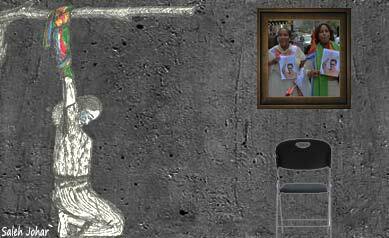 what will happen to PFDJ if the case is over? you can call me anything you want but I describe PFDJ against our national freedom. PFDJ is working to make Eritrea a failed state. now, you and me can continue talking for days and years even ,but the only way out is removing PFDJ. What after removing is important question to ask yet, nothing bad will come after PFDJ. so let’s not spend much time talking. While you waiting for Saba, please allow me to inject a simple point here on how Arbitration Works. Usually, the parties agree to follow the arbitration rules of an agency. The arbitrator’s award is final and binding, and may be enforced like a court judgment. Hi All. i am confused in here. this story keeps mentioning Eritrea but the picture is showing Tigray. i thought this was martyrs’s monument which is located in Mekelle. besides; how do you teach if a person is def and blind. i am just wondering . If you took your picture, the caption will say “Nitricc the Eritrean” but your picture will have a background of some USA city. SJ; my point is how do you go from the USA 1983 all the way to Meqele? she was born 1988. i mean trying to put it together and makes no sense. SJ while i have you. You are very good at teaching and explaining things; but how do you teach a def and blind? please don’t think i am being insensitive; i am just wondered. Now you are questioning the teaching credentials of Harvard! Okay, when I was a kid I saw blind girls at the expos in Asmara and they were knitting carpets, with patterns. That sight intrigued me and I always remember it. Again, where I grew up in Keren, there was a deaf and mute school that taught hundreds of Eritreans and to this day I am intrigued by that. One more time, I am assuming you know Tedla Bairu, he had a brother unfortunately I can’t remember his name. He was blind and the director of the school for the blind. If you want to know how they do it, you have many options. 1) Ask Mr. Google, 2) visit the school of the blind in your neighborhood or if you live away from civilization, go to the nearest city and I am sure you will find something. 3) When you meet blind people, ask them and they will be more than happy to tell you, and 4) ask yourself, if they can teach dogs to lead the bling efficiently and effectively, why do you find teaching the blind difficult? But I am wondering why the American Eritrean military mean who always talked about how IA defeated adversity and lately he questioned the challenges that Rwanda faced, why is that he has not hear the American Helen Keller, who was deaf, blind and mute accomplished so much success. There are proven methods to teach those unwillingly deaf and blind and those who like Helen Keller are blessed with determination and unwavering will can do things way more than those who take their able bodies for granted. So I like to add to your well out response, read about Helen Keller. Also close to home there is Tarek Tesfahiwot, who is successful singer with deep sense of humor, if you meet him once after a year he will remember your voice and call you by your name. It is the will to defeat adversity couple with the relentless study that makes these wonderful things happen and although human is also littered with the wilfully deaf and willfully blind, there is almost equal and opposite reaction the willfully deaf and willfully blind and in the protracted tussle between these two forces those willfully blind will always end up in dustbins of history. The comment reminds me of Stevie Wonder, Ray Charles, and a man I knew when I was a child. He travelled abroad for in some cold place and he came back home after he lost his sight. Years later in the late seventies I was on a lorry heading to Khartoum and we stopped for tea in a village just around Keshmel Girba. When I saw him sitting on the side I jumped and shook his hand I mentioned his name and a simple “how are you?” I uttered four short words and he stood up and said “Saleh!” I stood there with a gaped mouth surprised he could recognize my adult voice. It was surprising. There is a movie called ‘Helen Keller.’ It is about the first deaf and blind person who graduated from college and beyond. The story is about a teacher who worked hard to get across to young Helen by ‘typing’ a few touches on her palm and associating those touches with an object. For example, she would pour water on Helen’s hands and immediately type water on the palm of her hand. After several frustrating trials they managed to understand each other. After that discovery young Helen couldn’t have enough education throughout her life. Many establishments for the deaf and blind are named after her. The movie and the person Helen Keller is an inspiration to all humans in so many ways that I strongly recommend it. It is an old movie, and it may not be readily available, but Amazon may have it. It is not easy to watch, but you will be glad you watched that movie. Hi Fanti. Thanks for your explanation. I will watch the movie. As you have noticed your customary tile “Gen.Nit” or nitrickay is not used here. That’s to register my strong protest to the way you are treating this piece of information. There is a young girl who has challenged extreme biological disadvantage, and now she is becoming an inspiration for disabled young people. That’s the news. Not her identity or nationality. I don’t care if she is from Abkhazia or Eskimo. Now, she happen to be Haben, a name that I like, which means pride. Isn’t she a pride to humanity? There is time when you make fun and mockery and there is time when you should interact in a manner a similar human being would interact. I think you are very smart to know the value of the information. What if she is an Ethiopian? You are implying she is an imposter Eritrean. So what? What is more important to you, the inspiration you get from this girl or her identity? Honestly, I am baffled. Had it been a simple question of how she was able to accomplish what she accomplished I would say the following. The human brain/mind is boundless. The quest so far has been on how to discover it and unleash it’s full capacity, not whether it’s capable of rewiring and redirecting in order to overcome adversities. The famous Helen Keller is an example. Again, I don’t believe this is news to you, but the brain has an amazing aspect of rewiring, redirecting, and responding to stimulus in a completely different way than is traditionally expected. For instance, if you lose sight, your brain will “invest” in the other senses. So, you will compensate the disability you experience from sight by stronger sensation of touch, hearing, smell…etc. Here is an article I thought will help you. Read it and let me know what you make out of it. NB: Util further notice from awatistas, you have been demoted to BuluQbash. Hi Mahmuday aren’t you over reacting a little bit? I did not say a bad thing. Even to make sure not to offend anyone; I said my bad to Beyan. I mean which part do you find it offensive? Anyway what does it mean ” BuluQbash” though. Lol it wasn’t my fault ; what ever it is SJ is responsible lol. He made me do it. 1. Politics is a fair game. You have as much right to say what you want to say provided that you observe the posting guidelines. That’s between you and the AT moderators. You can spin it; make fun of it…etc. 2. However, there are certain happenstances that put our moral judgment to the test. Those things reveal our moral character (how we differentiate what’s right from what’s wrong). You need to be careful there. For instance, since, per SEMERE the toothless, you are a soldier, let me give you an example. A good soldier doesn’t humiliate a wounded or captured soldier of the opposite side. That’s because that captured or wounded soldier is either incapacitated or has laid down his arms. And it’s unsoldierly to humiliate someone who has put his life under your control, someone who has basically submitted. Even if you know someone is not observing you, you wouldn’t do wrong deeds. That’s because you have a moral “compass.” When you see civilians of the country you are fighting in dire humanitarian situation, you don’t mock them; you don’t celebrate their misery. You sympathize with them…etc. Similarly, when you reply to things of human condition try to learn how to control your urges of scoring a quick point. I will give you some of my observations. This has nothing to do with the toothless Semere (I know he is peeking every now and then; may be he is on some self-imposed sabbatical). This is a direct man to man talk. It’s about honor. Before, I proceed though, an advice: when folks like Beyan, SGJ, Amanuel Hidrat, SAAY…send signals, make sure you do a quick revision of what you said. When these guys chastise you, You know you have done something really bad. So your answer to Beyan was fine. – How do you react when you hear hundreds drowned in the Mediterranean Sea, even if you don’t approve their fleeing from their country. – How do you react when you hear teenagers died on the border even if you believe the cause could be other than the government. What’s depressing should be the death of the teenagers more than how the government is treated in relationship to the news. – When you hear an inspiring story, its value of celebrating the common character gluing humanity is more important than who that person is. eg. If an Eritrean scientist discovers seeds that resist draught, it’s a victory for all societies suffering from recurrent draughts. Hunger doesn’t discriminate between a farmer in Meqele or Himberti. Similarly, this girl’s achievements and her fight to make sure disabled people are treated fairly is a breakthrough to communities in the developing world. We know how disabled people are treated in those communities. Therefore, regardless of her nationality, the inspiration and hope she gives to disabled people, and the pressure she could put on those governments and influential civil communities are more important than why she is pictured in front of Meqele statue. Through the persona Nitricc, this Awatawi, has shown a great deal of malleability in the way he generates discussions. Hyperbole is one of the marks to his genius, which leaves us so dumbfounded that we cannot help it but respond. The other dispensation is to feign ignorance when the reader feels it at visceral level that the clueless (ness) cannot be possible, still stirring us for a rejoinder. Notice this morning’s post, there is a mark of fluidity and fluency to his language, but, seemingly deliberately, he adds certain grammatical errors here and some typos there leaving lingering doubt on the reader, thusly, sucking you right into that bait he set for you to take, taking it lots of us to type away our response. So, I am not sure, brother Mahmud, if the demotion is going to change anything, but I thoroughly enjoyed the link of time magazine you availed in hour our brain is capable of rewiring. I doubt, Nitricc’s needs it – it is mighty fine brain, it is just being used deliberately to appear in need of one. P.S. Mahmud, let it be known that I appreciate your kind words, but that is just too high of a pedestal, my friend, to line me up with the geniuses in this august space. I get the reason for your frustration. Keep on giving him appropriate feedback until the TBS completes revising his files. One involuntary visit to MeQele is a must, I guess, in order to give us a break from his obsession with TPLF/Tigray. Since you have now lost your given title (which was on merit base) and officially demoted having a new title, “BuluQbash” – (thanks Mahmud), here I am trying to help you a little bit to keep the title Bulukbash for sometime. Stephen Hawking is one our modern day eye to the universe. He can see what we don’t see and he can tell what we can’t tell. yet his natural voice is absent to hear it directly as it was created to be. Mr sunshine Tes, he can SEE! Amazing; you are very bright person,aren’t you? God have mercy. My qeustion was about a person who can’t talk, hear and see. good point. i don’t know. may be bad habits.? or i do have very analytical mind. unless i understood something the whole thing; it does not satisfy me. i don’t know. but you are right, the story in its self is heart warming and i should have left at that. sorry, my bad. Hahaaha, you made my soirée full of laughter. Did you write, “…i do have very analytical mind.” haha, Nitricc who is still in occupied wondering why DIA spends his time in dam Adi Halo” has very analytical mind. I could have said, you are mindless but I am blessing you as the basic objective of enlightenment is to be mindless. You are as simple as Yemane Gebreab. Please don’t be senseless human being. Before you talk politics maintain your humanity to be sound and warm. Don’t try to trade humanity with politics. Haben is real blind person; and she is not talking about politics, she is simply advocating for disability – nothing else. You have shown cold-heart to the tragedy of our youth when they were drowning in the Mediterranean sea in the near past. Now in a similar fashion to this young disabled lady. Think about it and cultivate your human spirit. Tell your toothless friend that is because Haben visited Meqele University, and the two other girls may be students from Meqele. How do I know this? Because Haben herself said so in the interview she gave to EBC months ago. I was so humbled by the brilliance and strength this re-able person displayed. I watched the interview more than once myself and forwarded it to many friends who would appreciate. This girl is amazing. The interviewer too. I would like to echo the same feeling like my friend Beyan. God bless this inspirational and uplifting young lady – Haben. It reminds me our disabled veteran. And this is a must listen story for them. Thank you. I watched the EBC interview and one of the “other girls” several months ago and I have been sending to many friends these inspirational young women interviews.The other young lady in the middle is Yetnebersh negussie,to whom Tsehaye yohannes dedicated the “Hilina” song in his latest album. Thanks for sharing. An incredibly finessed interviewee with a sense of humor of the highest order. An all too befitting name, Yetnebersh – yewnetim yetnebersh. My apologies for those who do not understand Amharic, but those who do, please give it a listen, she does not disappoint at all. 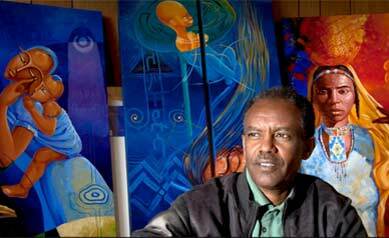 Yetnebersh’s views on the importance of art is spot on. She maybe blind, but she can see beyond what we seeing beings are capable of seeing. This is fantastic Ahadu. I just was postponing and was able to watch a moment ago. My goodness, what a life and greatness!!! Thank you very much. Does any one know how they are communicating? I see him typing, and she responds…Anyone who knows how that technology works? Thank you for posting this amazing girl’s interview. What is more important is not that she is able to overcome severe disability but her mission to help out other disadvantaged people. She is an inspiration; I have made my boys watch it. Dear Ato mahmud what an inspirational father you are. I am still puzzled about how she is able to ‘talk,’ and the company that developed the technology is not saying much either. The precision of her accent and grammar seems too perfect to be an actual human sound. “… The main unit is the DB BrailleNote which is a BrailleNote mPower (Perkins and QWERTY models available) with special deafblind software installed in it. The companion unit is the DB-Phone which is a special cell phone with a visual display and a QWERTY keyboard that also has unique deafblind software installed in it. These two components communicate wirelessly with each other using Bluetooth. Thanks for the info. I was really knocked off by how clear her speech was. You can hear the robotic sound in Stephen Hawking’s computer, for instance. But this one was so clear. And the speed was just natural. It’s amazing. May be the fact that her voice muscles are not involved makes it clear, I don’t know. Hi Fanti. I hope people won’t shoot me but she might be legally deaf but not completely deaf. she must able to hear. Deaf people I know they can’t hear nor talk but this lady speaks almost perfectly. Hi, Nitric, I think you got it. She said she has unlimited hearing and limited sight. Whatever it means she must have a communication ability some way to learn the language. I wonder why people gang up on you for asking a legitimate question. I guess It comes with the territory. I don’t know how she gains her ability to speak, probably part of the explanation could be what Saba and Fanti hinted here below but I know she is not hearing any sound at least from my observation in the video. What seems to be happening is, any speakers either types it in the special keyboard or speaks it verbally. If it is through typing, it goes to her special braille tech machines, and she picks the message from there. If it is through verbal talk, the white lady sitting next her types it as spoken, and Haben gets her message the same way. What is amazing is: if he doesn’t have that machine, she can effectively communicate through sign language. And sign language is meant for those who can see. She is young, deaf, blind and a Harvard educated lawyer, a philanthropist and a top achiever. People in her situation, with a single disability challenge, are called heroes/heroines if they overcome their own life challenges, usually with help of others. This one has beaten not one, two. She has one not her own life, but fighting for other millions. She is still young well informed and knowledgeable, humble and determined. In one of the interviews, she asked if her hard work and success came from a feeling and determination of trying o prove to the world what normal people could do. Her answer was simply as beautiful as herself: “No. I never saw my life as normal vs challenged. That is wasteful and stressful. Everything I do is about doing the task at hand.” Mahmuday, you did the right thing by encouraging your kids to watch her. The interviewer was asking (either typing it himself or the lady sitting with them the equivalent of a “stenographer” was typing it for him) Haben can only read what is typed. That is how I understood it. I am astounded at this young lady. I am convinced she must be able to hear even if a little bit. I cannot figure out how she is able to enunciate her words so precisely especially in an American accent. We all pick up intonations and accents by mimicing those around us. As far as I know there is no standardized written protocol on communicating accents. She is an inspiration for sure. Haben is able to see beyond the horizon while we fail to see what is in front of us. If you’ve read the article in its entirety, you would come across this paragraph, “And Girma has taken her advocacy around the world. She’s talked about technology and attitudes toward disability on trips to China, Costa Rica and Ethiopia. “Many cultures, including Ethiopian culture, view disability as a curse on the family,” she explains. 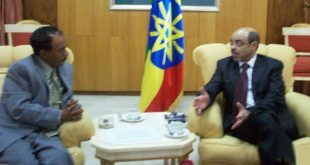 Advocates around the world are working to change such attitudes, and I help as best I can.” Then you would have said to yourself that picture must have been taken when Girma visited Ethiopia. Anyway, thanks for sharing such a wonderful story. Hi Saba; party? what Party? lol. hey Saba, are following meskerem.net the ongoing drama about by the name of Rezene. After 15 years, unable to do anything the so-called opposition; the weyane said enough is enough and they organized for them the Geneva demonstration. now; the so-called toothless wanna be oppositions are at each others throat. i am following it and i can tell you from what i read; this Rezene man is bad news. he is ego driven maniac. Here is Eritrean opposition in action. The shameless and sordid hgdefites are accusing these child and father of not taking a stand on a border war that exposed their sick mind for the world to see. Their cruelty knows no bound! A 5 year old baby is now the door they’re knocking to. Ethiopia didn’t and couldn’t defeat the Eritrean people. But PFDJ and its scumbags, it did defeat fair, square and proper. The war was conducted under the leadership of the PFDJ scumbags, concluded under the same scumbags and used by the same scumbags to terrorize the people and the region. Get a life PFDJ scumbags. Let’s cool down and take the responsibility. From this what we can read is that they are looking an opposition according to their criteria. That is what Ted, Peace! and Nitricc are advocating for. Another tactic is: to divide the people further. Nitricc is known for his racistic word use (aka KKK) and the same goes to PFDJ. One to dismiss the legitimacy of PFDJ and take the lead on negotiations that matters the country. And to expose the racistic policy of PFDJ that has been used extensively for the last 15 years. Now, some losers from the semi-opposition camp are using the same method to blackmail some genuine Eritreans so that their dream is to have a failed country. Dear haile TG, Eritrea as a country will never fail. 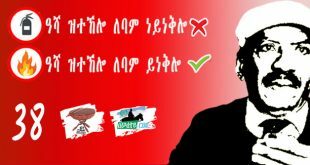 PFDJ will fail. What the people need is just to take responsibility. PFDJ should be dismissed as a legitimate goverment of Eritrea and all his foreign embassies should be boycotted. You are spot on on many levels. Let me also add something about the agent provocateurs who really have no clue about the border issue much less to care about it. YG called them “mercenaries”. It is them he referred it to. He has no reason to speak to those of us who oppose him genuinely in any manner or form. To us he is someone being investigated for one of the most heinous crimes, crimes against humanity. I don’t want nor accept any recognition from such a despicable criminal. He knows that and he wouldn’t dare to dream of being in a position to pontificate about me or who I am or what I do. His statement is directly aimed at the pompous so called opposition fly by nights. How come he didn’t recognize them for the so much back stabbing they engaged in against their brethren to win the attention of a lowlife criminal like YG? He told them right up that they are mercenaries (against their own flesh and blood I might add). YG will be lucky to even get recognition from us in slightest form. The only recognition he will get is when he is dragged out to the ICC and being identified by his victims. When he rejects his wannabe admirers, they get more drawn to him and talk like him. when the regime is gone, Eritrea is more than capable of dispatching first class negotiators and deal breakers. Its border is the the mark of its territorial integrity and national dignity, and unlike a mischief toolkit that hgdef and his two faced intermediaries wish to use it. Our border problem has nothing to do with their border problem. Their border problem is an ugly ploy to facilitate the distraction of the country and its people. Rest assured that we’ll negotiate border, trade, development what have you with dignity and true sense of ownership when the time is due and a legally instituted government is in place. Till them, we can afford to let them troll over their hogwash dawn to dusk. En français, on dit, “PARFAIT”. Merci mon frère. On the flip side of this very idea is how we block one another from making that kind of transition. We keep failing time and again by not giving one another the necessary emotional support to make that difficult journey. First we make it hard for others to even consider it either by threatening, insulting, and shaming them and once they make it past those hurdles, by ridiculing them for doing so. We haven’t mastered the idea of communication; not by a long shot. If we trace back our commutation’s evolution to before we invented spoken words, obviously we would scream our head off at a subject for doing something wrong. That method of communication is still in our system. We still yell and scream at someone when ever we are displeased by their action. Although what you said above is completely understandable and humane, you are not in a position where you can afford that kind of luxury. Many people look up to you and hold you in such high regard that whatever you say will be taken very seriously. I know that kind of occasional steam comes from your passionate love of your people, but keep in mind that our communication skill is still in its infancy. When you say ‘PFDJ scum bugs’ you are probably thinking of the decision makers high on top who deserve it fair and square, but it is human nature for those who support PFDJ for various reasons to also feel insulted. Hailat, I don’t have the necessary qualification nor the wisdom to give you an advice, but I believe that great people learn even from a child, so it is my hope that you will keep learning as well as teaching as you make your way to becoming the great leader that you seem to be predestined to be. Otherwise, your point is well taken, and be assured, that is something I fully subscribe to (before the next junk mailer shows up:). Thanks for the kind words too bro. This kind of respectful communication is not only instructive but also leaves the reader feeling good for learning something of value: The art of communication. I am fond of Stewart Hall’s ideas on communication. The way both of you are communicating reminded me of Hall’s Communication Theory in its diagram form. Let’s see if I can copy it here. Those Eritreans with no ELF background may now perceive that Isayasism as a system is politically obsolete. They may even be tempted to believe that Eritrea is officially a failed state. The ELFers warned the Eritrean people that Isayasism was empty system driven by politics of emotions. Since the system’s emptiness cannot be internalized as a working system even those who abandoned the system have nothing to say because they have no idea why they joined and then why they left the system. Indeed, those who fought from within the system to correct and institutionalize reasonable governance were easily isolated, [frozen] through the system’s process of “Mdskal” and thrown into dungeons, just like unwanted old assets. And, those who adopted the system’s emptiness, like Yemane Gebreab, were not trusted and given space to know and explain what’s going on. That’s why they are seen contradicting their words. The absence of space compelled them to only conform to the prescribed speeches, explanation and what to say in interviews by just repeating the same words. They know they are not telling the truth and they know being a liar is being imposed on them as a chosen path simply because they are blackmailed, even though that is not their desirable role. No doubt, the failure lies with the system, a system that never learns from its mistakes. The worst thing is that the man on top of the system has no any fear of any embarrassment, with or with no loss of consciousness, nor understands the failures he is facing in order to use his failure as a stepping stone for future successes. Hi all. I don’t know about you all but I find the responses from these PFDJ officials very insulting to my intelligence. Thanks Michael Tesfamariam for the youtube clip; here is also another great clip that exposes the endless lies and controversies of the Isayas regime. 1) How would you handle differently the border issue? 2) is the EEBC decision final and binding for you? Hi Saba. i am not an opposition but i know how they think so, let me answer it, how they would answer it. it is Issaias’s fault. the Eritrean youth is leaving the country in droves. there are 10’s of thousand prisoners in Eritrea. the dictator is killing our people. there is no constitution in Eritrea, no election and no food. now we know, even the Geneva drama was cooked by the Weyane. Hi Saba, that is easy! Ans #1 – Cut National service wages by half, extend the term to 25 years, abolish all laws for good, bring back hanging for any one who is suspected of not to love our dear leader “our people and our country”, postpone everything by 50 years and cut electricity and water permanently. Also, use artillery and heavey shelling against anyone crossing the border. 4. As if the Rev. Martin Luther King Jr. and the Civil Rights Movement did not demand THE VOTING RIGHTS for every American Citizen FIRST, I repeat FIRST, not even given Johnson’s War on Poverty priority a second thought…. I suggest the for these Justice and Democracy fanatical followers recognize an individual’s autonomy what is ultimately sought (right to choose to be rich/poor/christian/muslim/budhist…) by every citizen of any nation. And it is every government of any nation’s duty to protect its citizens equally under the law. Crossing sovereignty is tantamount to crossing the Red Line. (which includes cutting utility lines, hurling bear bottles in Berzerkly… etc…) Mines every buried every where on the border. Why? Because some “enemies” or adversaries refuse peace by choosing friendship and continuing to do the WRONG over and over and over. ሓርነት ናይ ዕብየትን ናይ ክብረትን፡ ናይ ሓጎስን መሰረት ወይ ከኣ ክንፊ ኢዩ። ነፍሲ ወከፍ ሰብ ሓርነት ኪህልዎ፡ ብሓርነት ክነብር ይግባእ። ናይ ነፍሲ ወከፍ ሰብ ሓርነት፡ ናይ ምሉእ ህዝቢ ሓርነት ኢዩ። ናይ ህዝቢ ሓርነት ከኣ፡ ናይ ነፍሲ ወከፍ ዜጋ፡ ሓርነት ይኸውን። ሓደ ሰብ፡ ወይ ከኣ፡ ሓደ ህዝቢ፡ ምንም እኳ ሃገር እንተ እትህልዎ ሓርነት ካብ ዘይህልዎ፡ ብሓርነት ከኣ፡ ካብ ዘይነብርስ፡ እታ ሃገር እንታይ ምጠቐመቶ?! ሓደ ህዝቢ ንጥቕሚ ኻልኦት፡ ንኣገልግሎት ካልኦት እንካብ ዝነብር፡ ከመይ ኣቢልካ ሃገር ኣላቶ ኪብሃል ይከኣል? ሃገር እንተ እትህልዎ‘ሞ፡ ኣብታ ሃገሩ ሓርነት እንተ ዘይህልዎኸ፡ እታ ሃገር እንታይ ምጠቐመቶ? ኣብታ ሃገሩ ሓርነት እንካብ ዘይህልዎስ ሃገር የብሉን ማለት እዩ’ሞ፡ እቲ ህዝቢ’ቲ ብቐንዱ ህይወት የብሉን ማለትዶ ኣይኮነን? እወ ክቡራን መንእሰያት ደቂ ኤርትራ፥ ንሓርነት ድለዩዋ፥ ደሊኹም ርኸቡዋ፣ ብዝረኸብኩሙዋ ከቶ ኣይትስደዱዋ! መለኮታዊት ወይስ ኣምላካዊት ኢያድ እያ’ሞ ስገዱላ! ህዝቢ ኢዩ ስልጣን ዝህብ፣ ህዝቢ ድማ ኢዩ ስልጣን ዜግድፍ። ንስልጣን ኢሉ እተወልደ ወይስ እተፈጥረ ሓደ’ኳ የልቦን። እቲ ጻድቕን ቅዱስን ፈጣሪ፡ ኣድላውን ዓማጸኛን ኣይኮነን። ንሰብ ካብ ሰብ ዜብልጾስ ኣእምሮን ቅውም ነገርን ጥራይ ኢዩ። ኣቦታትኩም ‘በዓል ቆጽሊ፥ ‘ሹም ኣሕዋት’፡ ዚብሃሉ ሰባት፡ እናመረጹ ኢዮም ዝምርሑን ዚናበሩን ዝነበሩ። ነዚ ኣቦታትኩም ዝሓደጉልኩም ቅዱስ ውርሻ እዚ፡ ከይተጥፍእዎ ወይስ ከይተበላሽውዎ፡ ተጠንቐቑ! “Nay nebsi wekef Harinet nay hzbi Harnet iyu.” Good read. Thank you. Almost 65 years to the day that Welwel said/wrote those words, hundreds of thousands deaths and sacrifices, an utter and total destruction of generations later, after millions of displacement to far and near, no Eritrean can re-publish the above letter in Eritrea today without risking disappearance. In deed, all the road we traveled took us the furthest from the ideals that Welwel was imparting, in fact Eritrea is now fully and unashamedly slave quarters or “ደምበ ባሮት” as he illustrated. That is indeed puzzling, we had everything to start with and lost it all in the process. 01. I can’t see , I am blind- I don’t care at this moment etc.let Badme stay there. for me important and emergency issue is PFDJ’s removal. I am sure Badme’s case will not be resolved in PFDJ’s Era.Yet, I am sure Badme is an Eritrean land. PFDJ may handover more land and even Aseb. the more it stays in power the more we will lose. 02. I can’t say it is final and binding since PFDJ has lost it’s legality to lead the nation. there is no way to say so unless you have a representative that works with system. in short the first homework is the death of PFDJ and this is final and binding for me. 1) – 1st and foremost, I wouldn’t have created a border issue; once created, I would pursue it through the set up bilateral commissions without jumping to military confrontations; once in military confrontation, I would have deescalated it by withdrawing from Badme by accepting US-Rwanda proposal before picking a war option; once in a war, I would try to win it and/or minimize my loss and avoid defeat; once defeated and pushed back, i would admit my mistakes and make a peace and re-normalize relations, rebuild regional trust and confidence, demobilize, demilitarize and get back into fighting the real enemy (poverty) and growing the economy, make more friends, attract investment, unlock the Eritrean talents in trade, talent and technology….More from my not-to-do- list: national servitude, DemHit, Dahere Aways, Birhanu Nega etc. 2) EEBC’s ruling was/is final and binding. But, PFDJ’s stupidity shouldn’t be final and binding. Eritrea and the Eritrean people are the supremely overriding final and binding entities. PFDJ is compromising the continuity of Eritrea and Eritreans. PFDJ’s stupidity has also greatly undermined the final and binding stature of the EEBC’s ruling. Is there anyone who challenges these two points? Gual Adem, keep it steady now. Aytebelashwyo! 1. If that war happened and we are now living in 2015, what is the take ? Are we going to say, they are stupid and what the stupid built be stupid and be solved by stupid actions? 2. Ok, we know that PFDJ is incapable of solving any problem. he is better in escalating war and disturbing possible solutions. And this is our basic core to fight against their system; Saying that, we are now inheriting a border issue. Should the justice seeking camp give that responsibility to PFDJ? or take the responsibility of the border issue and accept the EEBC final and binding rule? On my part, I have taken full responsibilty of the border problem we have with Ethiopia from PFDJ and it is part of my struggle. I did this simply because I have considered PFDJ as an officially dead system and is no more present to take responsibility of this issue. Because of this, everytime I cross to Eri- Ethio politics, I don’t forget what I have to remind to Ethiopian authorities. I did this several times here at Awate University and I will continue to do it where ever I am. This is what I call in my struggle “taking full Responsibility of the country issue”. And concerning Ethiopian proposal of negotiation before demarcation, my take is: There is nothing to discuss about the border. If we have other issues welcome and indeed we have. We need to build peace, economy and trust. On the border demarcation, I am not in hurry. But I have this take: if the border is demarcated without any pre-condition and on as soon as possible, TRUST will be built immediately. The only problem with leaving the border undemarcated is absence of TRUST. But if we are able to live through strict diplomatic protocol, well, let even 100 years stay as such. Who knows by then border is an old fashioned issue. As we can see today, if you have money, you can buy any piece of land anywhere in the world and call it what ever you want. You can even have your own system of administration within the territory. I believe that we have many other common and urgent issues that we need to talk about and pursue a normal business. Now, we need to lead a normal and peaceful life. let that zone be a buffer zone till everything cools down if we failed to be wise enough in solving the problem at hand. One problem should not hinder us from leaving a normal life. As we know, every human being has at least one problem in his life and yet she/he continues to live a normal and descent life as much as possible. A. It can’t show me how it could demarcate it in the presence of Ethiopian refusal (unless PFDJ readies itself to talk). Therefore, here, there is no advantage value that could be gained by the continuity of PFDJ. Hence, the border cry is just a red herring used to perpetuate its unjust rule. Pfdj can talk about overthrowing the current Ethiopian government and replacing it by a favorable one (and here comes in the talk of Dr.Berhanu…and what have you).This is a disaster for both countries, and it won’t materialize the demarcation of the border. True patriots should oppose this. In short, pfdj can’t show us that it is capable of solving it. On the contrary, its mad adventures placed the issue of the border in the cold files’ cabinet as far as international community is concerned. Imagine if a foreign aggression is directed to Eritrea. Do you think we will find sympathizers from the International community? Let’s be realistic for a moment. Pfdj not only hurt us by making us be seen as a pariah state, but also hurt us by demoralizing and depleting combat fit population. That’s the picture i see when i see pfdj conjured with the border. B.Now, if it were a Tooth-less-on-border Organization but One that is recognized by good governance and economic achievements, one would give it the benefit of the doubt. Here, you have a despicable PFDJ that barks about the border but pursues policies that prejudices our moral and legal high ground; a pfdj that excuse its abuses and its failures on the border but does nothing to solve it except deliberately working to complicate it. A pfdj that demands the same demands that private citizens are making:final and binding. Therefore, except using it for the excuses of its abuses, I don’t see how pfdj can project itself as the guarantor of our borders. I’m just elaborating on my reply that I gave to what Hayat said. It was logically coherent, and I had to say, “you are right. ” I hope you find the gist of my comment, not sure if I understood your questions. Hi Saba, if they knew how to handle the “the border Issue”, the opposition wouldn’t be in this messy situation. They themselves know they crewed it up with Eritreans. They have been in damage control for 15 yrs now. To make matters worse, their damage control is nothing but the usual “PFDJ is bad” song. ” And oftentimes excusing of a fault doth make the fault the worse by the excuse.” They seem not to know how to get out of it. Instead of making right with their people, they run after “white boys” for help to justify their miscalculations. For your second Q, “EEBC decision” why is it matter to them? PFDJ is bad who kills its people, made thousand drown in a sea. Case closed. I think you guys, the purveyors of Hade Libi, need to talk with Hade Melhas:) IA says the USA should solve the border, Yemane G says Ethiopia should solve it and you guys say we, the opposition to the oppression, should “handle” it for you. Who exactly do you want to solve your problem? The attempt to solve the problem by destroying Eritrea and Eritreans has come back to haunt the regime and its minions. It would sure destroy them eventually too. So, can you at least speak in one voice and tell us who it is you hope to “handle” a self inflicted disaster? Hi haileTG, “……. a self inflicted disaster?” How convenient. You can twist it as much as you want IA said this , YG said that, but the very truth is out there for everyone to see confronting you in every turn. There is no way around it. “Who exactly do you want to solve your problem?”. If all ” the opposition to the oppression, ” think like you, there is no hope getting the issue solved or removing PFDJ for that matter. The suffering continues. Handling the boarder issue is beyond their capacity, and what’s more embarrassing is the timidity to take a stand. For the last fifteen years no good stands have been sold to collect public supports. Perhaps it is because there is a major misconception on what type of change the country needs and how it should be delivered. So you are looking for 66 answers, good luck! listening. For a change why don’t you try something new, for example, by unilaterally withdrawing from all the districts that are currently administered by Eritrea but put on Ethiopia’s side of the arbitrary bolder lines drawn by the confused five old men in the Hague? These include Tsorona, the districts near Bada and Bure among many others. Once you withdraw from those districts please let us know how the thousands of Eritrean citizens who currently call those areas their home think of your move. That way you can at least claim that you have done your part but Ethiopia is refusing to reciprocate. here is Q and A with the people of keren. why do they say we’ve made great strides in health care? 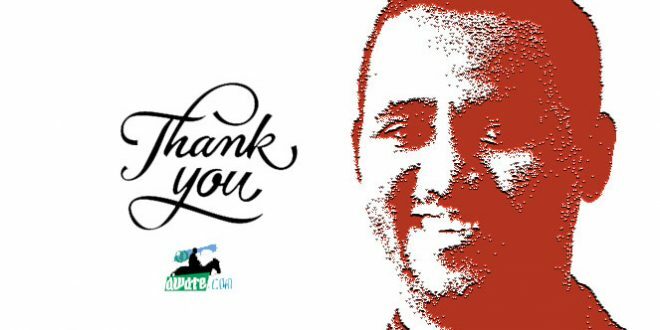 Hi Haqi; i don’t know if you know this but you deed the greatest service to the PFDJ. wow, thanks for sharing. remember according to UN and the toothless oppositions; in Eritrea under PFDJ you are not allowed to think let alone to voice your concern and compline. Hi All. the truth will keep coming. one funny thing is when TPLF shoot down its on fighter jet. lol i get a lough every time i hear it. now, you know how the Ethiopians brage that the won the war? really. Hi Awatewian; please start playing from the beginning. i don’t know why it is starting half way. just drag it back all the way to the beginning. Hi Haile lol i don’t know. why does it start from the three minutes mark? lol Haile TG; i have no idea but what do you think about the content of the video though. i thought it was very reviling and to the point..
Hi Haile TG. the reason i asked for your opinion is that this short clip exposes the TPLF thugs to core. i will wait and hear your take. on the mean time Tornet means war. Tornetu mean THE war. on the same token when i came short with what i set out to do, then teshsnfkugn. on this clear theory of mine; Eritrea is the winer. I don’t know who won the war. I know who lost . Both people lost big time. Yes, it is as simple as that: “Both people lost big time.” I don’t know what this talking head was trying to get at. I so wanted to hear what the others had to say, what I heard was this guy’s diatribe for almost six minutes. What in the world is the point? He sounds like he is unhappy the war stopped before reaching Asmara. So , ethiopia lost the war. He is unhappy because only 100,000 poor people died. He was looking for more bloodshed., more deaths, more devastation. Bayan, you like soccer? Chelsea is playing Arsenal. It is going to be juicy! Helps to take a break from politics. That would indeed be a great reprieve. Soccer is the only sport I follow, sporadically, at that. My son is into soccer, although basketball might end up winning him over, just a hunch. So, I do oblige when time permits it. Go Chelsea! No matter how good Chelsea played, at the end it is about winning. Here is the highlight and, of course, the scoring machine, Costa’s absence was clear in the many scoring missed opportunities for Chelsea, Oh, where are you the goal scoring monster. Costa, though not as refined as, say, Neymar or Messy or Ronaldo, were he to play last Sunday, the outcome would definitely have been different – oh if it wasn’t for that hamstring problem. I am trying to console myself for siding with the loser team, can’t you see with these endless rationalizations. Hi Abi and Beyan; you guys are missing the point in its entirety. the point is, the war wasn’t about the border or Badime. the weyane thugs were planing to go all the to Asmara and occupy Eritrea. The weyane is the loser, because it didn’t accomplished what it set out to accomplish. Eritrea simply defended by melting the weyane huge army like a snow on the Sahara. the amazing thing is that the Weyane got nothing to show for. but at the end i agree with you, no one wins in a war. some describe him as lucky some didn’t agree. some want him to say “it’s the position of my government” some said why he should say so since he thinks everything belong to him etc. although opposite ideas all are correct. I have something for all…..instead I ask why we are unlucky to have such men ? when are we going to remove those corrupted guys? of course I didn’t ask if we will remove them or not. because God is great not me and you. we are only responsible to make our best for being honest in our stand and fight, so God will support us. 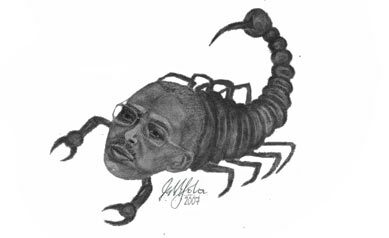 both PFDJ and scorpion have two things in common, they own dangerous venom and they both have similarity in treating their offspring. scorpion kills her children and if she don’t kill them she has to run away from them when they grow up as they might it her. let’s go for simple poem bellow. if you like print it, share it with others. I strongly disagree with your description of Yemane as an unlucky man. You characterize someone as unlucky if that person was put in a bad position without leaving him a reasonably better alternative. Yemane had and still has better alternatives to pursuit should he decide to stand up for his people and with his people. He should have taken that right decision immediately when he was made to chair the political wing of PFDJ; in essence, he is the top executive figure of that organization. Alamin responsibility has long been reduced to administrative clerk’s status. He had that option when many of his mentors decided to stand up against tyranny; instead he was seen to accelerate their isolation and purging. He has had many opportunities to correct his political bearings. He had chances to correct his position when Eritrea was heading in a head-on collision with the international community. He did have a chance to say no to the stubbornness of his boss when those sanctions became unavoidable if he failed to steer the country away from them, in the first place. He should have read the devastating effects the country would burden because of the imposition of the sanctions. He could have corrected by assessing the situation that’s creating the unsustainable exodus of the most precious resources of our nation, its young people. He did and does have the mental capacity, and the experience to identify the right choice. Yemane is perhaps among the most smart Eritreans alive. He knows what he’s doing. He is not a man you could simply sympathize with as being an unlucky man . He has done what he has done knowing he could have done differently. The man, like few of his peers, has surrendered his total conscience to the service of one man, his boss, IA. This is not an ordinary man. This is a great service for those of us who do not understand Arabic. Monkey aka Yemane G. by now has lost all his dirty tactics. He thought that he was lecturing YPFDJ or at Cadre School in Nakfa. But thanks now RT are getting smarter. “Somebody, please explain Triplespeak? PFDJ’s position on the Yemeni crisis according to Yemane Gebreab: “We were not against and we were not for… and not neutral…” is a million worth question. But there will not be any answer to it. Triplespeak, hahaha!!! Yemane Monkey, he is shikorina mechem like that of Sophia T.
I think Yemane Gebreab would be well advised to begin all his answers with “it’s the position of my government” so he doesn’t get personally identified with all the insane policies of the government. The “special advisor to the president” was a just a title of conscience to all a man who has no government portfolio to speak on behalf of the government but he will come to regret it when those who don’t know that Isaias Afwerki is the alpha and omega of the system take the title literally. How can we expect yemane to say “it’s the position of my government”? In his sick mind he thinks Eritrea is his and he can say or do whatever he wants about it or with it. The concept of ‘government’ and ‘diplomacy’ is alien to him and DIA. Unfortunately, political diplomacy is not only alien to DIA and his diplomatic core. It is also alien to Eritrean people. Look the way we inter-react those of us within the opposition camp and as well as between the opposition camp and the supporters of the government, let alone with the international community. In fact that is the weakest spot for us Eritreans. It is because of the lack of “political diplomacy” that we are unable to sit together and make some national compromise on how to govern our diversities peacefully and equitably. Point taken, well said! It has become our main weakness and obstacle to our unity!!! *The man might wise up and abscond the regime similar to many others like him who had chosen to stay in exile and, ostensibly, turn against the regime. The latter, they are sizable number now, one hopes, do make every covert effort possible to reach out to Yemane and others when they leave Eritrea on diplomatic and/or sociopolitical missions, telling them.essentially, the grass is really greener on this side than they think. After all, it is only natural for these former srAt PFDJ representatives to have had personal friendships forged when they were in the same camp. Question: The war was started in 1998, it ended in 2000, and we are in 2015. 15 years! Answer:But it didn’t end. The war didn’t end. The war is continuing until now. YG: The war finished in 2000. Why should you feel sorry for him, for things obviously and consciously doing it? He knows he is living in a contradictory environment. He loves it, he cherished it, and he will bubble on and off to satisfy his boss. You can’t salvage people like him. You bring them to the court of justice until his attorney defend him on insanity basis. I am not feeling sorry for him as a victim. I am feeling sorry as he could have used his skills to better his country and people, but now it looks like too late and as you suggested only a court of justice is awaiting him.